If you aren’t careful, the cost of Christmas can soon land you in debt, and worrying about money problems is not a good way to start the new year. You don’t need to spend a fortune to have a fun family Christmas, but the latest figures show that both married and single parents are spending as much as £900 per child on presents. This is madness, and it needs to stop! 1. Make your own cards and tags. Do you usually put Christmas cards straight into the recycling bin when Christmas is over? Instead, cut out pictures, motifs and words that you can use to make next year’s present tags and cards. You’ll add that homemade touch as well as saving money. There are loads of things you can make yourself, from jams and pickles to cookies, crafty gifts and knitted socks and jumpers. Making presents is also a great activity for single parents and kids to enjoy together, and it really gets you in the festive mood! 3. Save all of your wrapping paper. Wrapping paper tends to get torn to shreds in the excitement of opening presents, but if you have any paper or gift bags that manage to survive Christmas, fold them up and put them away for use next year. Gift bags are perfect for reusing, and it will save you a fortune on wrapping paper as well as being better for the environment. 5. Set a budget – and stick to it! Work out a realistic amount to spend and then work out how you can stick to it. Keep all of your receipts and keep an eye on how much you’re spending. There are lots of sales on in the run-up to Christmas, but not everything’s cheaper. If you see the perfect gift for someone in summer or even in the January sales, snap it up for next Christmas! By starting your Christmas shopping early, you can spread out the cost so you don’t spend a huge amount all at once (this is how people end up in debt!). It’s easier and cheaper to shop if you know exactly what you’re getting, and you won’t be tempted to spend on anything else. 9. Send digital Christmas cards. E-cards are often free to send, saving you the cost of buying cards and stamps but allowing you to still get those festive messages out to your loved ones. 10. Get cashback on gifts. If you usually buy all of your Christmas presents online, make sure you check cashback sites to see if you can get some cashback. This effectively makes everything you buy much cheaper, so it’s well worth checking before buying. If you enjoyed this post why not have a look at some of the other fantastic reads we have on our single parents blog. 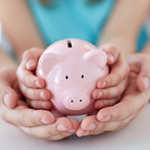 Budgeting for single parents becomes easy with practice and, dare we say, enjoyable. The satisfaction of being in control of your in and outgoings will give you cause for a well earned treat.